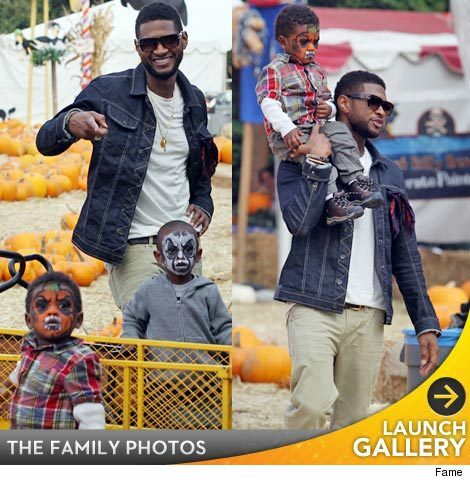 Usher turned 32 yesterday -- and he celebrated by bringing his two sons to the pumpkin patch for some face painting fun. Usher and his adorable boys Usher Raymond V and Naviyd were spotted at Mr. Bones Pumpkin Patch in L.A., where the group hit the slides, got some spooky face designs and picked out pumpkins. The boys are Usher's kids with ex-wife Tameka Foster. Happy Birthday to MY BOY. Usher is one cat i rock to whenever i'm sad. His songs are gems. Rock on bro !